In this guide i will tell you the best, fastest and most proftiable way to get 99 Farming on the online game Runescape by planting trees and herbs method. In my opinion farming is one of the hardest skills to master on Runescape this is because the amount of effort it takes to get 99 and also the constant running to and from herb and tree patches etc. 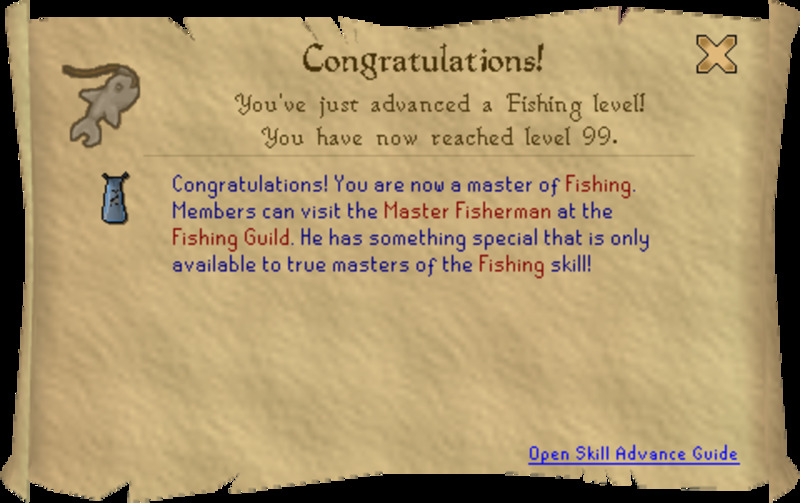 It also takes quite along time and can also be very boring when going for 99. The farming cape is one of the most prestigious capes on the game in my opinion and i probably the favorite skillcape that i have. As with most of my guides this guide also has a video at the bottom of the guide if you prefer to watch rather than read. Recommendations, Scroll of Life etc.. In this part of the guide i will be telling you about some of the recommended skills and quests that i believe you should have in order for you to get the fastest and best XP possible from farming. The first thing that you are going to want to get is the scroll of life, the scroll of life can be purchased with 10k dungeoneering points and it will give you a 10% chance of allotment/herb seeds back and a 5% chance of getting your tree seeds back. Another item that you will want to get is a pair of magic secreteurs, you can get these from the Fairytale part one quest and they will give you a 10% more crop yield bonus. If you have completed the Falador tasks and you have the falador shield 3, i advise wearing it when farming in the allotments in Falador as it will give you bonus xp (except from trees). You will also be able to purchase whit Lilly seeds which when planted will fully protect the allotment where your herbs and plants are growing. If you have completed The Fairytale part 3 quest you will have the magic watering can, this watering can has unlimited water and therefore you don't have to keep filling it up. Also on completion of this quest, once you de-weed all of the patches on Runescape those patches will never grow weeds again so that is a big bonus. The Juju farming potion, this potion gives you a 1/3 chance of doubling your herb harvest and to get this you have to complete the herblore habitat quest. You need a Ugune and a marble vine to make the potion. If you have completed The Love Story quest, you can modify house teletabs so that you can teleport to particular spots which will speed up run times. In this part of the guide i'm going to be writing about what requirements i recommend you have and what quests i also recommend that you complete in order to get particular items and teleports that will help you on your journey to 99. Levels 17-30 you are going to be planting oak tree's (acorn seeds). Oak tree's take 2hours and 40minutes to grow and the payment is a basket of tomatoes but i don't recommend that you pay because they are not worth that much anyway. Levels 30-45 you are going to be planting willow seeds, they take 4hour to grow and the payment is a basket of apples... again just like before willows seeds are rather cheap so i don't believe that the payment is needed. Levels 45-75 you are going to plant maple tree's, depending on if you do not wish to spend that money on farming you can also plant these to 99. Maple tree's have a 5hour 20minutes grow time and the payment is a basket of oranges. Levels 75 -99 (for the rich kids) if you are fairly wealthy and you want to get 99 farming the fastest way possible you will want to grow magic tree's, they have an 8 hour grow time and have a payment of 25 coconuts (very expensive). The good thing about planting magic trees is that they are 14k xp per tree. Levels 27-33 you will want to plant apple tree's, they have a 16hour grow time and the payment is 9 raw sweetcorn. Levels 33-39 you will want to be planting banana tree's, they have a 16hour grow time as does all of the fruit trees and the payment is 4 baskets of apples and again i don't recommend that you pay as bananas seeds are rather cheap anyway. Levels 39-42 you will want to be planting orange tree's, they have a 16hour grow time and the payment is 3 baskets of strawberries. Levels 42-51 you are going to be planting curry seeds, they have a 16hour grow time and a payment of 5 baskets of banana's. Levels 51-57 you are going to want to plant pineapple trees, they have a 16hour grow time and the payment is 10 watermelon's. Levels 57-68 you are going to want to plant papaya trees, they have a 16hour grow time and the payment is 10 pineapples. You can also use this method to go straight to 99 as they are decent XP and they are cheaper than planting palm tree's. Levels 68-99 This is the fastest xp possible and to pay for them it is 16 papayas and they have a 16 hour grow time. Although this method i more expensive than planting papayas, it is much better XP so i recommend if you have the cash do this method to 99. The Calquat is a special tree and you plant it in the Tai bo Wan area (the tribe area place), you plant them from levels 78-99 it takes 21hour 28mins average to grow them and the payment for these trees is 8 poison ivy berries. hope this guide helped you and gave you an insight into getting 99 Farming, if it did please comment below as i really appreciate your comments and also remember to vote this page up, leave feed back via the quick action buttons thanks!!! PS: I also have other guides that you may wanna check out: 1-99 Woodcutting guide, 1-99 Fletching guide 2012, 1-99 Smithing Guide 2012, 1-99 Firemaking Guide 2012, Runescape 1-99 Hunter Guide 2012, 1-99 Cooking Guide 2012, 1-99 Thieving Guide 2012, 1-99 Herblore Guide 2012, 1-99 Agility Guide 2012,Runescape 1-99 Fishing Guide 2012, 1-99 Ranging Guide 2012. If any of the links do not work please check out my channel for a full list of all the 1-99 Runescape guides as well as other Runescape related guides Thanks! Oct29 Together with almost eeiyrthvng which seems to be developing within this specific subject material, your perspectives tend to be very radical. However, I am sorry, but I do not subscribe to your whole plan, all be it exhilarating none the less. It would seem to me that your comments are actually not totally justified and in fact you are generally your self not thoroughly confident of your argument. In any event I did take pleasure in reading it. Wheres the alternative cheap method for us cheap kids? Good guide, but juju doesn't have a 1/3 chance of doubling your yeild. for every herb you harvest you have a 1/3 chance of harvesting two. Which offers a 4 in 100 Quintilian chance of having your inventory doubled in one go...sorry..just saying haha. the 68-99 using fruit is planting Palm Trees. a quick and simple way to check that was to look at the farming milestones in your skills table..
Hrm, sorry if my comment was hurtful. You don't use apostrophes for plural, geebs. Thanks for good guide nonetheless! you haven't mentioned which fruit trees from 68-99. you've just mentioned the payment to have them looked after. This is an amazing guide. Thanks a lot and keep making guides. No problem, I'm in a pub atm because I like beer.